Sunstick protects and softens your skin at the same time. It contains all hypoallergenic ingredients that limit the chemical irritation produced by other sun blocking face and lip balms. Protect your skin from the harmful rays of the sun and the side effects of sunburn and cancer. This is an all natural, hypoallergenic lip balm that uses no harsh chemicals, making it the perfect lip balm for sensitive skin. 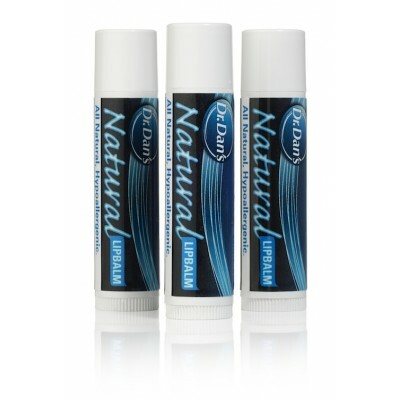 This product helps to prevent chapped lips and maintain healthy lips. 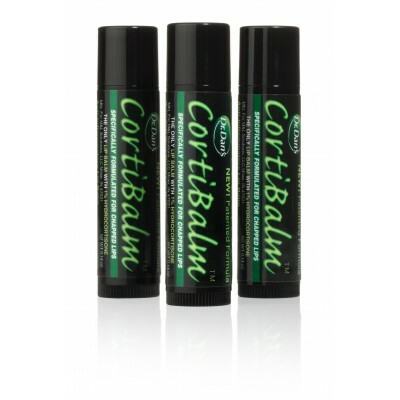 This lip balm is perfect for acne and psoriasis patients currently taking Accutane, Amnesteen or Soriatane. It is also great for chapped or irritated lips caused by exposure to the sun, wind, cold weather or a reaction from cosmetics. Over one million tubes sold so far! 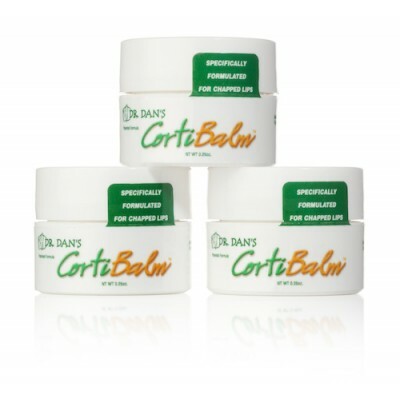 Dr. Dan’s Hydrocortisone Hand and Body Lotion is the perfect eczema lotion! In addition, this premium, anti-itch lotion is specially formulated for the treatment of dry, chapped skin, cracked fingers, psoriasis, dermatitis and wind and sun burn. 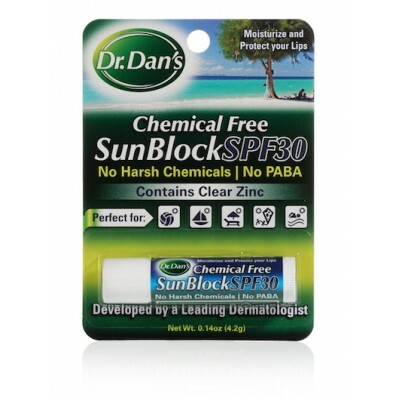 Dr. Dan’s SunBlock SPF30 protects your lips while keeping them soft at the same time. 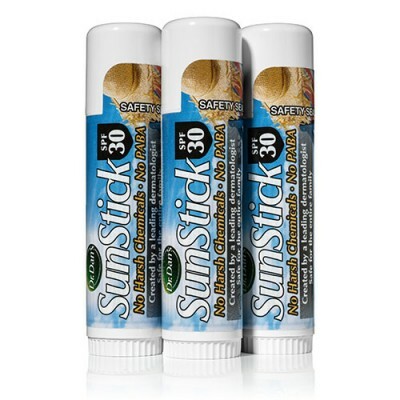 It contains all hypoallergenic ingredients that limit the chemical irritation produced by other sun blocking lip balms. Instead of harsh chemicals, we use two natural, inert minerals.